How to Check Brick Quality? Bricks are the most important part of a structure. If poor quality bricks are used in a building, it can lead to a grave disaster. In this world where pretense sells, it’s necessary for property owners and construction companies in Pakistan to check the quality of bricks prior using them in any construction activity. Here the question arises how you can check the quality of bricks? To test the toughness of a brick, a scratch is made on its surface with a thumb-nail or hard thing. If the scratch doesn’t leave any mark or impression on the surface, then it should be treated as a fine quality hard brick. Take two bricks, one in each hand, and then struck them with each other lightly or one with mason’s trowel. If it’s a quality brick, it will never break and produce a clear ringing sound. Whereas, a soft or shaky brick will produce a dull sound and is more likely to break or crack. You can also test the quality of bricks by dropping them flat face on the ground from roughly two feet height in a saturated condition. This will assure you about its strength. In this test, the brick is broken to examine its structure. The structure should be compact, homogeneous and free from all kinds of lumps, holes, and other defects. A well-burnt brick has a uniform color. It means, quality bricks always have uniform color. But, less burned and over burned bricks losses both strength and color uniformity. A high-quality brick can be in red, copper and cherry color. When it comes to the size of bricks, make sure their length shouldn’t exceed 3mm whereas the width and height must not surpass 1.5mm. Take 5 dry bricks and weigh them. Note down the average weight of 5 dry bricks. Then, immerse these bricks in water for 24 hours. After 24 hours bring them out and weigh them again. Don’t forget to write down the average weight of the immersed bricks. Now deduct the final average weight from the initial average weight. 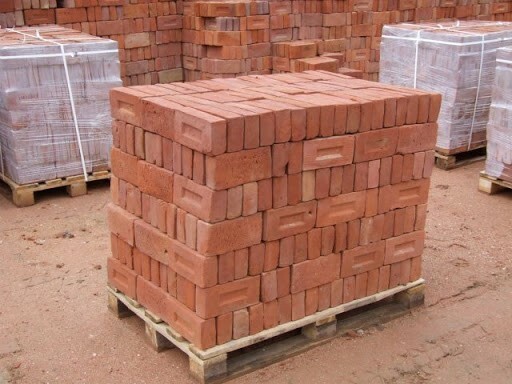 Remember that in any case average weight of damp bricks should not exceed 20% average weight of dry bricks. In this trial, look for flaws, cracks, air holes or any other impurities or defect in the bricks. Mind you, the broken surface of high-quality bricks will show uniformity, compactness, and fine structure. The shape of the bricks is closely inspected in this test. You recognize high-quality brick from its fine edges, rectangular shape, and uniformity.